Running out of room at home? Trying to find the most efficient way to run your business? We have all drive-up units convenient to almost all neighborhoods with seven locations in Virginia Beach and Norfolk serving our community with self storage for over 30 years. By drive-up, we mean no elevators to unload into, just drive your car or truck right to pick up an item or two that you may suddenly need. 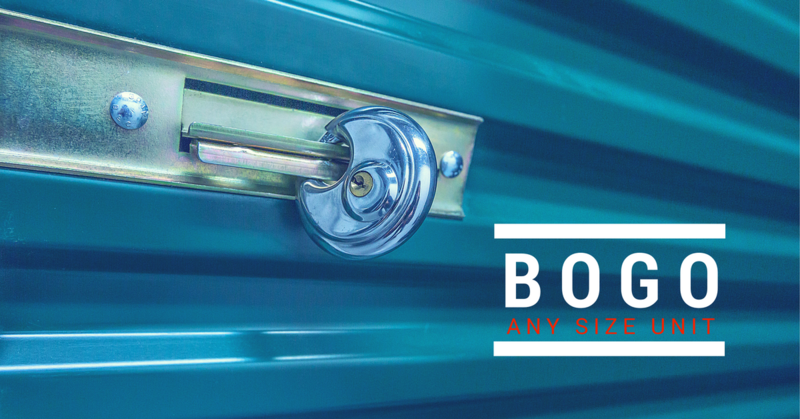 We have over 5,000 units to choose from, ranging from 5x5 to 20x40, to fit just about any storage need. Whether you're a resident or local business in need of some extra space, we really know that price is an important factor as you select your storage facility in Virginia. That's why we've worked hard to provide the absolute best rates in town! Now you can find a home for excess clutter, rarely used items, important business documents, and anything else that's making you feel cramped. Visit our calculator to learn which unit size is best for your needs. Many sites have huge move in specials, some locations you can move into your favorite size for as little as one dollar! That's right, just one dollar is all you pay for your entire first month. No hidden fees such as deposits or administration fees. Just pay the dollar and move in. Please select a coupon and call in a reservation to the location that suites you best or just call 757-707-8097 and let Yvonne get you started with your self storage needs! No matter what city or neighborhood you live in you will find an Allsafe location within minutes of your location. While our facilities are physically located in Norfolk and Virginia Beach, their proximity to local highways and major landmarks make them ideal for our neighbors in Chesapeake, Portsmouth, and Suffolk as well! All of our properties are just a few minutes from a major highway like I-264, US-13, and I-64. We're an ideal option for residents of Ocean View, Dam Neck, Cypress Point, Indian River, Aragona, Greenbrier, Strawbridge and much more. Please see our map page to help you get started and we look forward to helping you get started! You might think that we'd skimp on our features in order to provide such affordable rates. Think again! Price is the only part of the equation, so we consistently look for new ways to add to the convenience and security of your experience with us. From extended access seven days a week and 24-hour security cameras to drive-up access and climate control, you'll receive all the same benefits offered by the more expensive facilities. All designed for the ease of driving your vehicle right to the spot you unload. As we mentioned before, there are no elevators to slow down your moving process.